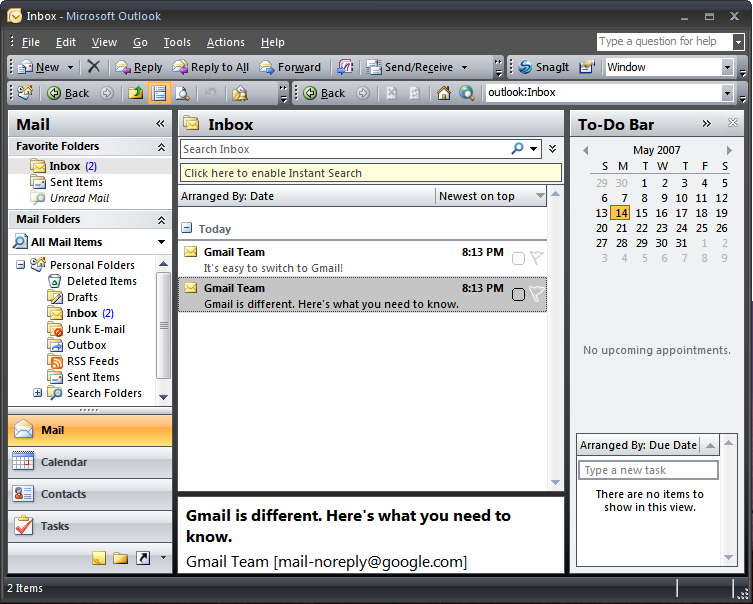 Everybody loves Gmail, but some people use a desktop client, especially in corporate environments where Outlook is king. 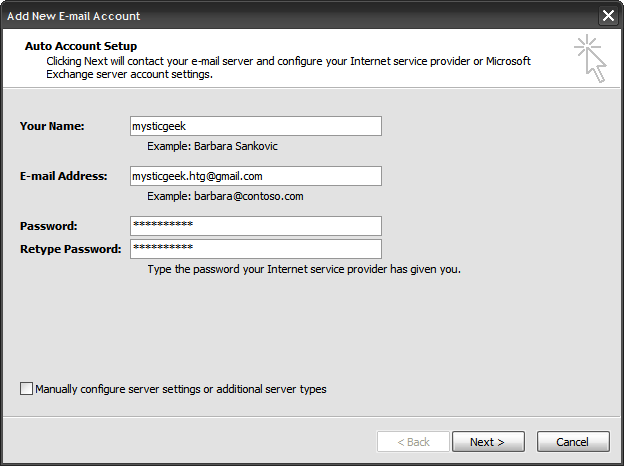 Adding your Gmail account to Outlook 2007 couldn’t be easier. 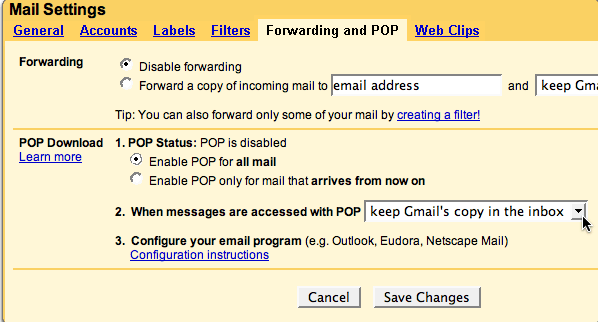 Update: Note the drop-down that says what to do when mail is accessed with POP3. 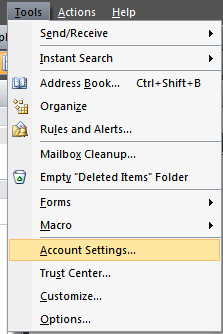 Please do NOT change this to “Delete”. 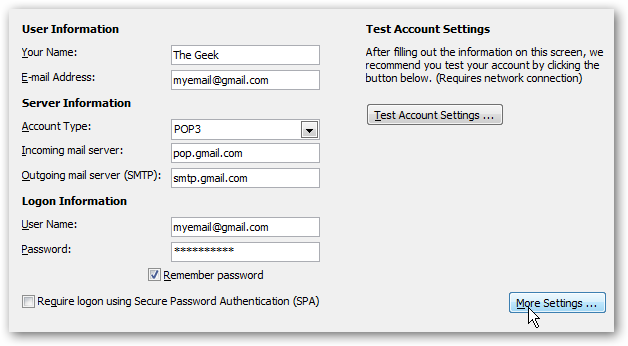 Enter in all of your gmail account information **make sure there is no check next to Manually configure server…** You do not have to go through these extra steps. 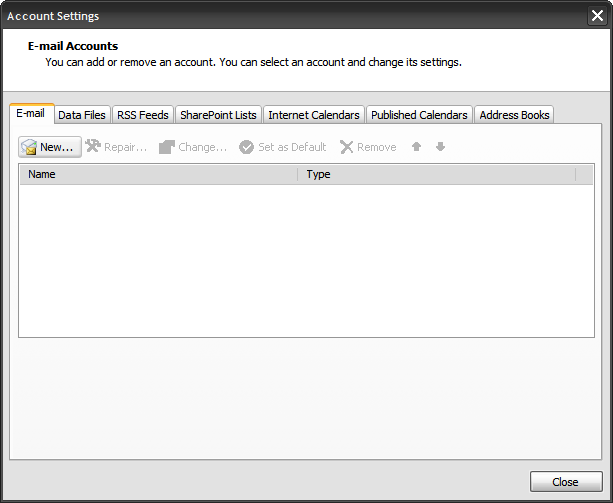 Just click on Next. 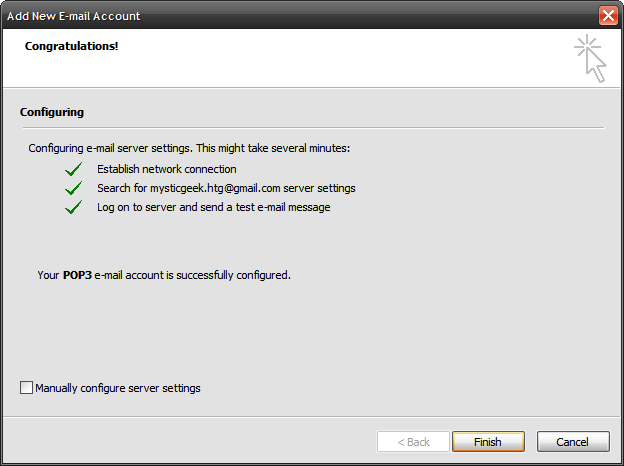 After Outlook has successfully configured the e-mail server settings you can go ahead and click Finish.